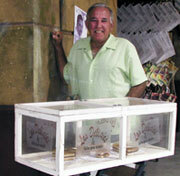 The guidebooks will tell you that the heart of Little Havana is on Calle Ocho between 14th and 18th Avenues. 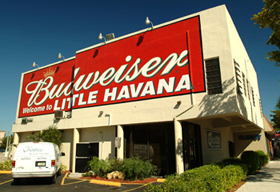 But Little Havana actually stretches from 27th Avenue all the way downtown to 4th avenue. If all you see in Little Havana is Domino Park and your favorite cigar store, you're missing out on the real Little Havana. This is it, our list of our favorite places to eat in and around Miami. With a restaurant on every corner, we once calculated that it would take us about 18 months  eating at three restaurants a day  to try them all! 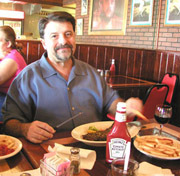 Join us as we take you to our favorite places for Cuban and Latin food! Surprise! We don't just eat Cuban food. 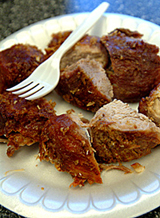 Miami is a great melting pot of Latin cultures and we enjoy them all. What to do in Miami? For most people there are only three answers to this question: the beach, the beach, and the beach! But hey, how much sun can a body take? We'd like to encourage you, the intrepid Miami traveler, to get off the beach and experience the true Latin culture of Miami!You've seen the standard guidebooks, now take a look at our Three Guys Guide to the Best of Miami. A Cuban Insider's Guide to Miami and Beyond! What is it with Cubans and parties? 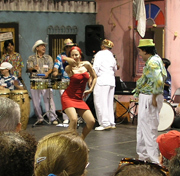 Desi Arnaz might have said it first: Every Cuban can dance, play the guitar, and sing. For Cubans, getting together with family is at least a monthly ritual. Cubans get together not just on major holidays such as Christmas and New Years, but any time throughout the year. The perfect Cuban party includes these things: Good food, good friends, good music, more good food, good conversation, a good drink or two, and of course, a good time. Did we mention good food? The Three Guys From Miami have put together a list of their favorite Cuban and Latin restaurants and bakeries in cities across the United States. Although the restaurant quality can vary from merely good all the way up to outstanding, you won't find any BAD restaurants on this website! 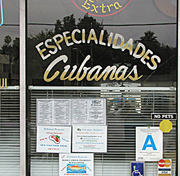 You can't experience Cuban culture in Miami without eating Cuban food! We see so many tourists eating Dunkin' Donuts for breakfast, Big Macs and Whoppers for lunch, and at dinner they splurge on something really exotic: Outback Steakhouse. Listen people! You can eat that kind of food at home. When you come to Miami, why not break out of your shell? Cubans have brought music, food, fine arts, literature, customs, and traditions that are now an integral part of Miami and South Florida. From Desi Arnaz to Celia Cruz to Willie Chirino - famous Cubans have even had an effect on the country as a whole. If you are new to Cuban culture or possibly visiting South Florida for the first time, check out the Three Guys From Miami Guide to All Things Cuban: Culture Edition!